Yvonne joined The Walt Disney Company - in the Walt Disney Parks and Resort business segment - in 1998. Since that time, she has served in leadership roles in a variety of areas including Internal Communications, Human Resources, Multi-Market Business Development, and Diversity and Inclusion. In 2006, she joined the timeshare division of the company, Disney Vacation Club (DVC), as Director, Operations Integration. In January 2013, Yvonne transitioned into a new role within DVC, as the Director, Club Management and Regulatory Affairs. 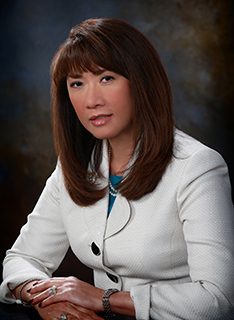 In this current role, she serves as Chief Compliance Officer and leads teams of leaders and professionals in Florida, California, Hawaii, and Japan in a variety of business planning and operational areas. In October 2014, Yvonne assumed the additional responsibility of serving as the executive in charge of Technology Strategic Planning and Integration for the DVC business worldwide. For her accomplishments at Disney Vacation Club and contributions to the industry, Yvonne was recognized by The American Resort Development Association as the 2010 winner of the ARDA Center of Excellence Women on Their Way Award. Born in Havana, Cuba, Yvonne is proud of her multicultural heritage (Hispanic and Asian American) and is multilingual (fluent in Spanish, her first language, and has a working knowledge of French and Cantonese). She and her husband, Bill Wahl, live in Winter Garden, Florida, and have been very committed to serving the community of Central Florida since they relocated to the area in 1998 from Basking Ridge, New Jersey. Yvonne earned a Bachelor of Science degree in Electrical Engineering from George Mason University and a Master of Business Administration from Stetson University. She is past chair of Stetson's School of Business Advisory Board and was elected to the Board of Trustees in May 2018. She currently serves as chair of the Enrollment & Marketing Committee.